In the book “The Body in Contemporary Art” by Sally O’Reilly the subject of the body becomes integrated as an art object. The book further delves into how the body explores the art language intellectually, and how the body is used in art as a creative outlet. Emphases on how the body has moved from traditional portraiture to a sculptural media in enhancing an artistic work. The body is used as a medium to push the artistic boundaries and the usage of the body allows more senses to be explored in art. 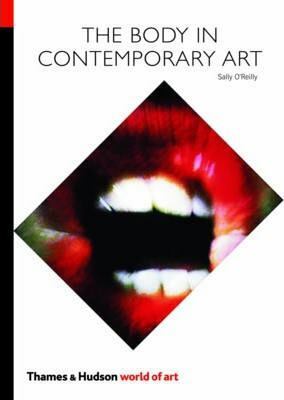 The body as a usage of an art media in contemporary art is explained pleasantly decent in the book “The body in Contemporary Art” by Sally O’Reilly and the body is a continuously relevant component. what effects were created once shown. The material covered about the body in art ranges from provocative to subtlety. The book leaves nothing out in what the body is capable of meaning and how it could be used as in art. The knowledge gained from using the images of the body in art is overwhelming. Examples are shown of how the body in art is presented in a variety of ways, and how representation of the body enhances the overall theme of what the author is conveying. There is mentioning of art connecting certain emotions that best affects the viewer when incorporating the body. There are political aspects of the use of the body and the full use of what the body is capable of producing to create art such as representing the digestive system as a mechanical machine. The book reminds the reader to expand our knowledge of what the body could do to express certain concepts. There are also ideas of reconfiguring the body and how that impacts society. Finally, there is more room to interpret the body as an art tool when used in different perspectives. There is this general notion of how the body crosses a number of subjects with diverse issues in the book. Topics range from sexuality to how mental disorders impact an individual. Experiences with the body though the usage of drugs and experiences with involving people to complete the art them is shared by a diverse group of artists. There is performance experiences with the body included in the book. Manipulations of the body in art are wide ranging. The book provides limitless insight and ideas of how the body is portrayed. In conclusion, there is an enlightening viewpoint of the importance of the body as a material subject in art and value as art that the book reiterates. Exploring the body as a tool to convey ideas opens further possibilities of a self-expression or group expression. There is plenty of examples provide that emphases the intimate relations of the body in art between artist and viewer. The book brings the subject matter of body in art cohesively together with our natural sense to explore those boundaries with art. Overall, the artworks greatly ranged with meaning of what the body means to each of us. I agree with the article. Our body is so powerful that we can use it to show what really an art is. Furthermore, we can depict a lot of scenarios using our bodies.